Toby Powell’s taking a look at another giant of the past, of whose work with networks we continue to benefit from today: Sir Joseph Bazalgette. Sir Joseph Bazalgette (1819-1891) is not a man usually associated with IT despite being a contemporary of Charles Babbage. He was, in fact, responsible for designing and building London’s sewer network in the 1890’s. Not the most fragrant of subjects perhaps, but as vital to the functioning of society as the IT networks of today have become. London in the 1850’s was beset by Cholera, killing thousands at each outbreak. These epidemics were caused in part by an advance in technology – the water closet – which vastly increased the volume of contaminated water pumped into the Thames. Over the years 1858 to the 1860 Bazalgette designed and built 82 miles of main sewers and 1,100 miles of street sewers. Over the years the network has been upgraded many times but in essence still performs the same task as intended 140 years ago. Surprisingly there are parallels between this most physical of networks and our modern squeaky clean, antiseptic IT infrastructure of today; Sir Joseph faced and met many challenges that will be very familiar. Sir Joseph had an immediate problem to solve but adopted a conscious decision to build for the future. He calculated the capacity required and then doubled it as, “we’re only going to do this once and there’s always the unforeseen”. Without his foresight the system would have reached capacity in the 1960’s, instead the structures he built have lasted until the present day. The project required the patronage of key figures: the colossal expense and the disruption required influential sponsors if it was to be successful. Isambard Brunel championed Bazalgette and parliament passed an enabling act to approve the scheme. The Royal family took an active interest, officiating at the opening of parts of the system and having pump stations named after them. Bazalgette demonstrated an incredible attention to detail and capacity for hard work, he personally checked every connection and was not averse to changing specifications where he felt it was necessary. Every part of the project was documented in detail – a record that survives and is still useful as a reference today. The £3M cost was provided by parliament. Initially the project had financial challenges which, given that this was the biggest engineering project in the world, is perhaps not surprising. With the continuing support of the taxpayer the initial stages were completed on time in 1875 with additional work completed in the 1900’s and with updating and extending continuing ever since. Perhaps the pace of change today is unlikely to see networks lasting relatively unchanged for 140 years but given our ever increasing reliance on the ability to efficiently transfer data around the world we should plan with the foresight, resilience and attention to detail that Sir Joseph demonstrated on his equally important network 140 years ago. 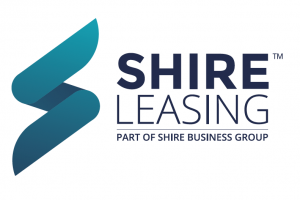 If you would like to find out more about planning and financing your IT projects then please feel free to contact us here at Shire Leasing and we can discuss the myriad of ways we can help.